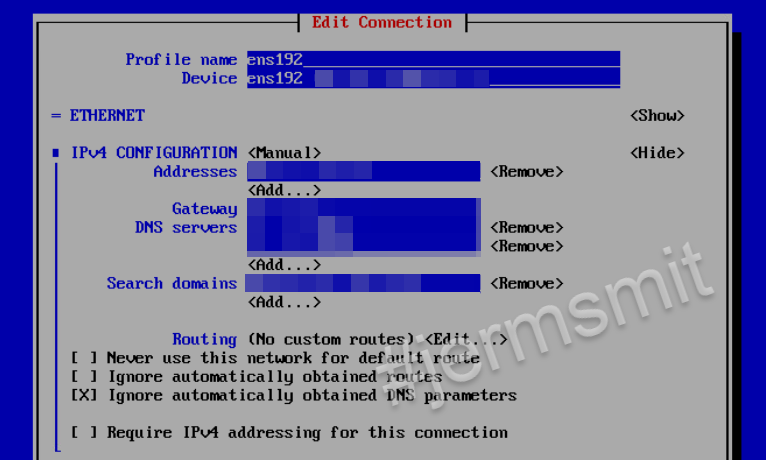 The following short should help someone who needs to configure an IP address or networking on a RHEL (Red Hat Enterprise Linux) server post install, or if they are looking to modify an existing host. The ‘classic’ method of doing this would be to vi or nano to ‘/etc/sysconfig/network-scripts’ and edit the name of the interface. Another method I find helpful for those who prefer a user interface to step them through the process is to use the tool ‘nmtui‘. All you need to do is: enter the command ‘nmtui’ & press enter. This will open a new window with 3 options i.e. 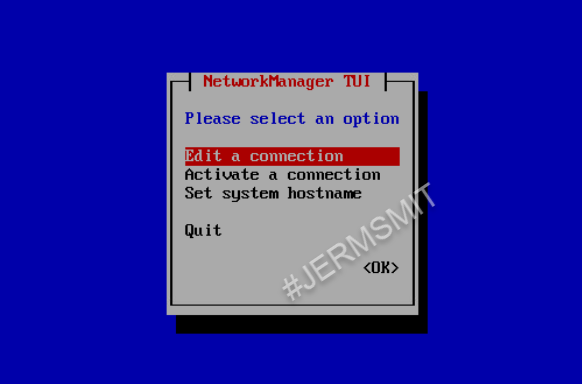 we can edit our network interface, activate a network interface or set a hostname for our system. As of February 5, 2019, VMware Certification will no longer have a mandatory recertification requirement. Now, you have the choice of when to recertify, rather than be required to do so every two years. Q. What is changing about the VMware recertification policy? A. VMware is removing the requirement to recertify their VCP certifications within a two year period. Industry research confirms the importance of keeping your skills and certifications current, but VMware will no longer mandate when to recertify. We will leave that decision up to each individual candidate. Q. Why is VMware removing the two-year recertification requirement? A. The most compelling reason is that we want VMware certifications to match the needs of each candidate. Many candidates recertify every two years and upgrade their environments to the latest versions. Others maintain older products and do not yet need experience with the new versions. While holding the most current certification is the best way to keep your skills relevant, the recertification policy will no longer mandate when an individual must update their certification(s). We want to allow each person the flexibility to do what best supports their individual and organizational needs. Q. If my certification becomes active again, will I get access to its logo and certificate? A. Yes. You will have access to use the certification logo and print the certificate. Q. Are there changes to any other certifications other than the VMware Certified Professional (VCP)? A. VCP certifications were the only VMware certifications that had a mandatory two-year recertification requirement. This change does not affect the other certification levels. A. Visit www.vmware.com/certification to view your VMware Certification options. Like most companies, I use email is a tool to communicate. I can’t imagine not having it to communicate with my staff or management teams. 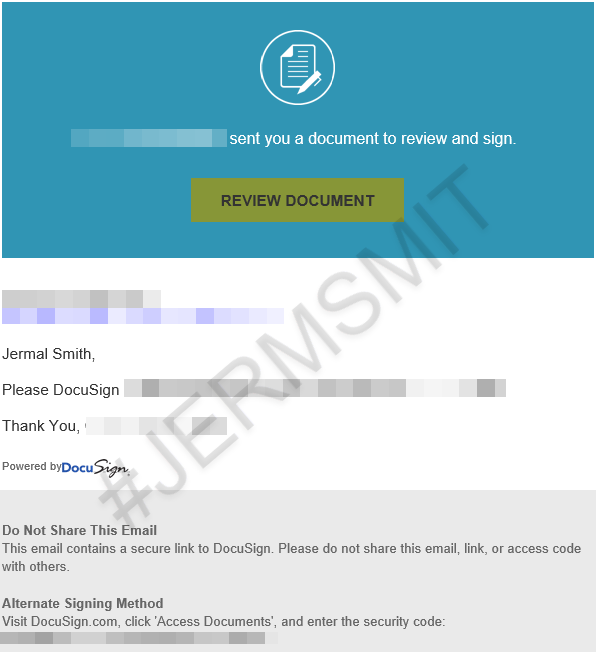 This tool is not only used by me for the daily business, but also by scammers who attempt to defraud companies and their staff with nefarious emails attempting to violate one’s trust. What Are Visual Email Indicators? A visual indicator is a highlighted icon or message that is generated if the email is flagged by the system as potentially dangerous. This could be because the email comes from an external email address or if the “envelope from” address where the email is allegedly sent from doesn’t match the “from” in the in reply or reply-to field. A common tactic scammers use is to send emails using the display name of someone within the company and an external email address. Some users won’t notice that the email didn’t come from the user with the display name and deal with the email as if it was genuine. To mitigate this common tactic, the prepend of a Warning to the users informing them that the origin of the email is not from a trusted location can be applied as part of the organizations’ transport rules. $ruleName = "External Senders with matching Display Names"
$ruleHtml = "<table class=MsoNormalTable border=0 cellspacing=0 cellpadding=0 align=left width=`"100%`" style='width:100.0%;mso-cellspacing:0cm;mso-yfti-tbllook:1184; mso-table-lspace:2.25pt;mso-table-rspace:2.25pt;mso-table-anchor-vertical:paragraph;mso-table-anchor-horizontal:column;mso-table-left:left;mso-padding-alt:0cm 0cm 0cm 0cm'>  <tr style='mso-yfti-irow:0;mso-yfti-firstrow:yes;mso-yfti-lastrow:yes'><td style='background:#910A19;padding:5.25pt 1.5pt 5.25pt 1.5pt'></td><td width=`"100%`" style='width:100.0%;background:#FDF2F4;padding:5.25pt 3.75pt 5.25pt 11.25pt; word-wrap:break-word' cellpadding=`"7px 5px 7px 15px`" color=`"#212121`"><div><p class=MsoNormal style='mso-element:frame;mso-element-frame-hspace:2.25pt; mso-element-wrap:around;mso-element-anchor-vertical:paragraph;mso-element-anchor-horizontal: column;mso-height-rule:exactly'><span style='font-size:9.0pt;font-family: `"Segoe UI`",sans-serif;mso-fareast-font-family:`"Times New Roman`";color:#212121'>This message was sent from outside the company by someone with a display name matching a user in your organisation. Please do not click links or open attachments unless you recognise the source of this email and know the content is safe. <o:p></o:p></span></p></div></td></tr></table>"
The iTunes & Google Play Gift Card scam are common ways people are conned out of their cash today. If you think this happens to just the common home user, think again. Many corporations are plagued daily with fake emails and text messages from bad actors’ attempts to compromise one’s trust and desire to quickly please their management. The scam itself is very simple – so simple, in fact, you might find it mind-boggling that people are actually falling for it. Hopefully, you specifically may not have been affected by this, but someone you know or work with, or even the organization you are employed with may. How its starts: A criminal contacts you claiming to be a representative from a Government Agency or Non-Profit Group, and even from someone inside your own Company such as your direct manager, CEO or CFO. They do this by either cold calling (typically using spoofed phone numbers), short unsolicited emails asking you to respond, and even using SMS messages to communicate to the unsuspecting victims. The victims are then informed that they need to go purchase iTunes (or other) gift cards. Once they’ve done this, all they have to do is give the criminal the digital code revealed underneath the peel-off or scratch off label on the back. This is commonly requested to be sent via photo text message. Once that’s done, your money is gone! Do many people fall for this? They sell the codes on for a fraction of their retail price. Makes you wonder how or why someone would sell you a sell you $100 iTunes code for $25.00, but people looking for “deals” do just that, and this is how they make a profit. Knowing about this type of scam and emerging ones is half the battle. So spread that knowledge! You might not be tricked by such a simple fraud, but there’s likely to be a relative, friend, coworker, or neighbor who could be fooled. If you think someone is attempting to scam you: Report it, Warn others, Keep alert. If you think you’ve been scammed: Contact Apple immediately. The company might be able to cancel the card, but know that the criminals have streamlined their process, after all, it’s businesses to them and a tech one at that, so I am sure some form of automation is involved on their side. If it’s another gift card (Google Store, for example), you need to contact Google. If you’re a retail business owner or work at one: Be aware of this these types of scam and let your peers know about it. It might be worth bringing this subject up to management, Inquiring if they can post notifications and advise customers. Example: If a customer is purchasing a larger quantity of cards; one could inquire if they are making in informed purchase and inform them of such scams. I know it’s a big reach for someone behind the counter to do, but you could save someone from being a victim. Its why I take time and try to inform others.